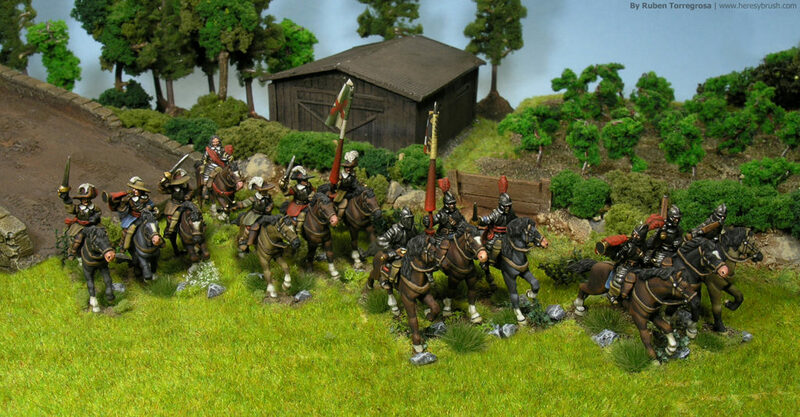 I’m working on a very special project, my very own 15mm Thirty Years War army. Unfortunately I don’t have time to paint my own miniatures, as I’m always working on comissions. However, the miniatures from Totentanz have inspired me in a way never seen before in myself. And therefore, I exploit all the gaps I have to paint it. Furthermore, the recent rulebook published by El Kraken: Tercios Liber Millitum is the perfect excuse to use these miniatures. 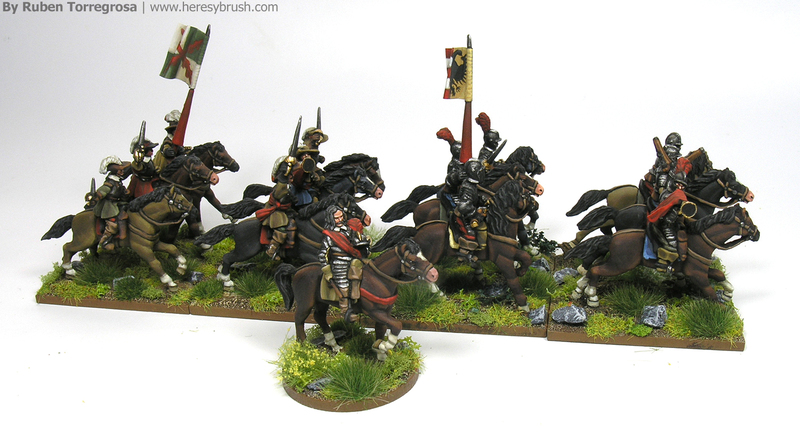 I have finished today another mounted unit, some Cuirassiers. Take a closer look! 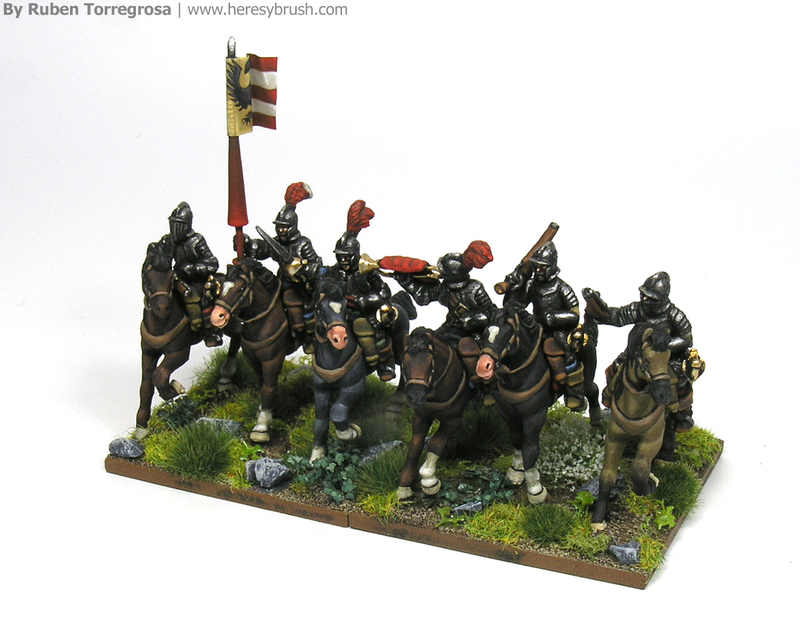 I have painted 6 horse riders to compose a mounted unit to play Tercios. I have destributed them in two bases (3 miniatures / base) to form a 8cm front. The banner has been painted by hand over a copper sheet. If you are interested, you can find a complet painting guide about how to paint miniatures of this period here. And here you can see my whole mounted force: a light cavalry unit, a heavy cavalry unit and the mounted General.